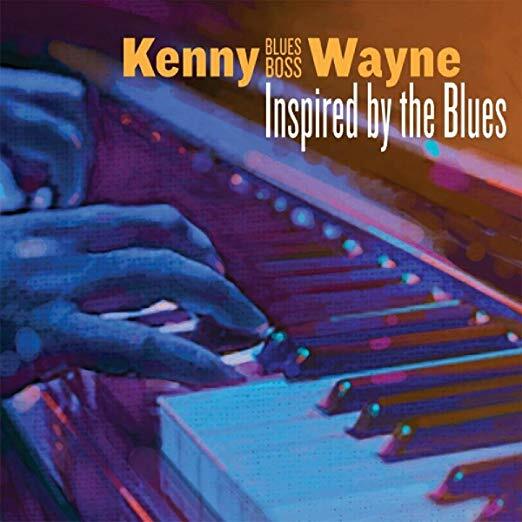 I just had the opportunity to review the most recent release, Inspired By The Blues, by Kenny "Blues Boss" Wayne and it swings. Opening with solid blues opener, I Know I'd Be Playing The Blues, Wayne on piano, organ and lead vocal leads the way backed by Russell Jackson on bass, Joey DiMarco on drums, and Yuji Ihara on guitars. Billy Branch adds some real nice licks on harmonica to spice up this fine opener. Opening it up on Start Rockin' Dave Babcock on sax and Bob Tildesley on trumpet pump up the action and Wayne's piano playing really rolls, balanced nicely against Yuji's guitar. Laying way back on I Like That Woman, Wayne sets a great pace on piano and his vocals are excellent. Jump track, Jimmy and Johnny has great feel with a trumpet solo by Tildesley and really nice piano work by Wayne. Very cool. Lake Country Boogie, led by the warm sax work of Babcock gives Wayne a wide open road to ply his trade. 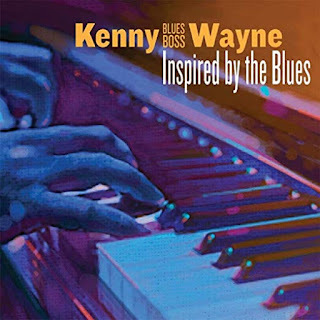 Wayne isn't shy and shows he really is the blues boss and Babcock stays toe to toe with him making this a terrific instrumental. an Old Brick Wall is another great boogie but with rich warm guitar chords and super soloing by Duke Robillard, great organ work by Wayne and power sax by Babcock. One of my favorite tracks, That Raggedy Shack, on the release features a nice paired lead vocal over a solid boogie beat. Babcock hits the sax solo square and the band is tight. Wrapping the release is a traditional take on Georgia On My Mind with solid vocals over electric piano by Wayne, Mati Vaarmann on Hammond, Mait Paldra on bass, Raul Ukareda on guitar, Jevgeni Lamba on guitar and Jaak Ahelik on drums. Veery solid closer for a solid release.